Italy is an amazing country, with numerous breathtaking and famous places to visit, from Venice, Rome, Milan, Sardinia and many others, but here are 5 hidden gems of Italy that you maybe haven’t heard of yet. 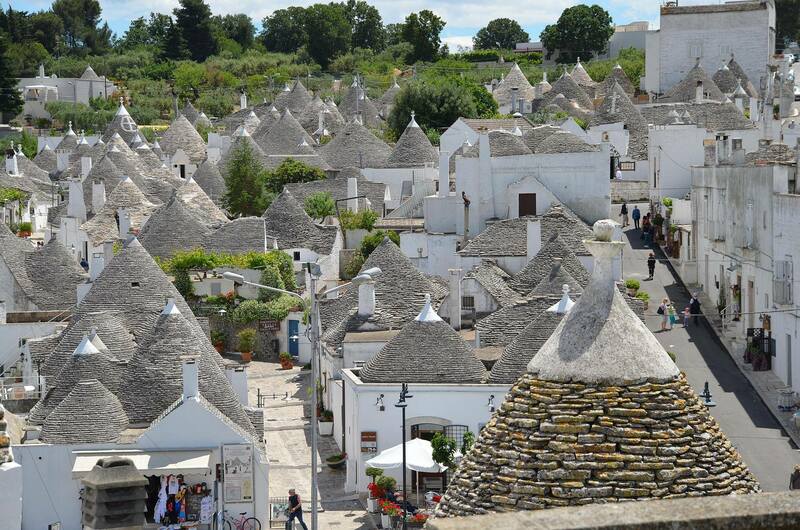 Alberobello is a small town situated near Bari, in the region of Puglia in southern Italy. It is truly an amazing and unique place, declared in 1996 as UNESCO World Heritage Site. Alberobello is famous for its particular Trulli buildings, which are practically white houses with conical dry stone roofs. So what are you waiting for, book a cozy Trullo and immerse yourself in the beauty of Alberobello. Resia Lake is located in South Tyrol in northern Italy. In the summer of 1950 several small villages were waterlogged, after it was decided that two natural lakes will be unified in an artificial one, for having plenty of seasonal electricity. Today we can only see the bell tower above the waterline, while under the water there are over 150 remains of houses, hamlets and other buildings. 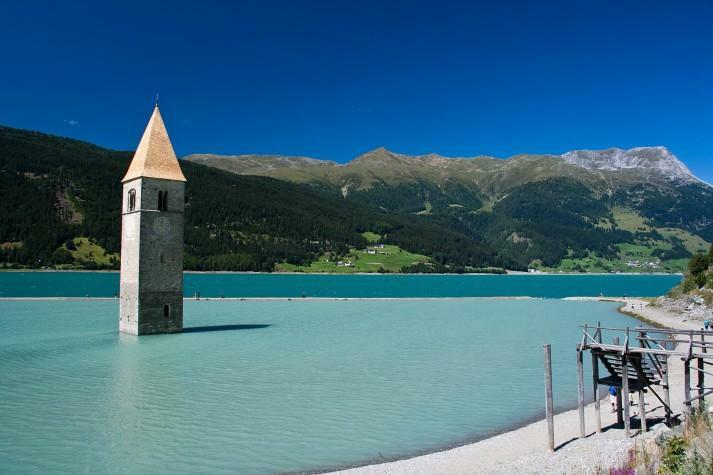 It is amazing place to visit in winter when the water freezes so you can walk to the bell tower. 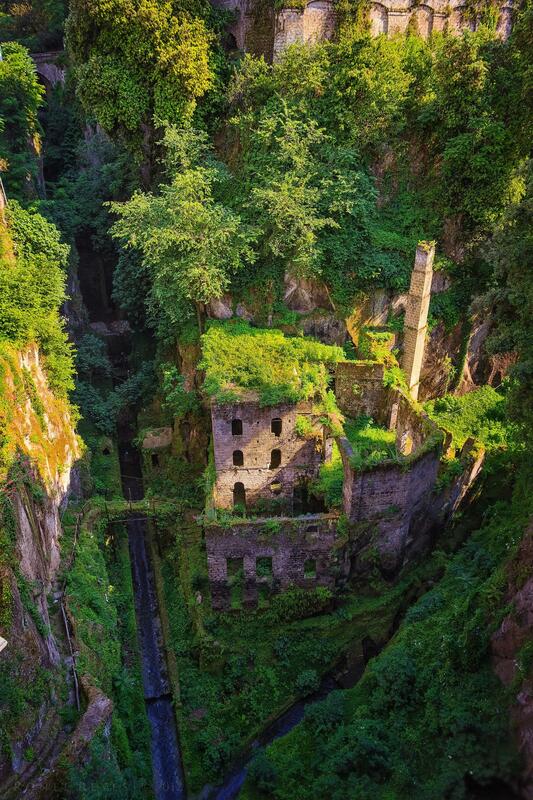 This beautiful old mill is located in the Valley of the Mills in Sorrento, near Naples. The Valley of the Mills is one of the regions most visited tourist destination and you can imagine why by just giving a look at the photo. The mills were used for grinding wheat and supplied the whole Naples area and they date back to 900 AD. The mill was abandoned back in 1866 and today it is almost completely covered by vegetation which makes it a truly magical monument. Civita di Bagnoregio is a small hill town in Lazio region, central Italy. This picturesque small town was built 2500 years ago by the Etruscans. 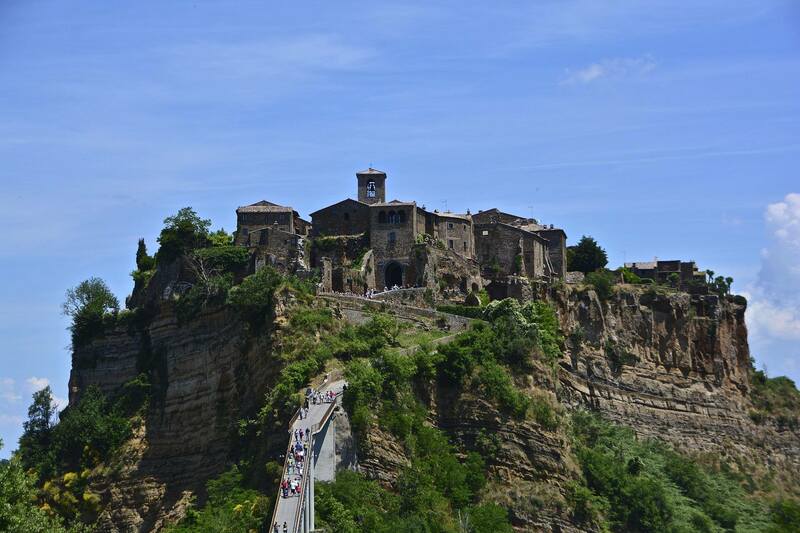 Civita, as it is situated on the hill made of brittle volcanic tuff is in constant danger, because the edges of the plateau are falling off and these ancient buildings are in risk of falling off. Today’s town population is 15 people. It is accessible only by the long stone footbridge that connects the sister town of Bagnoregio with Civita. It is absolutely one of the most charming places in Italy. Matera is an ancient city located in Basilicata region, in southern Italy. Matera is famous for its old center called “Sassi di Matera”, where you can admire the ancient cave dwellings that showed evidence of people living here 9000 years ago. The “Sassi” is considered one of the first human settlements in Italy and back in 1993 was declared World’s Heritage Site by UNESCO. Today, people are still living in these houses dug into the rocks. Matera was the location where some of the scenes from “The Passion of the Christ” were filmed.